Social media marketing results are visible these days. Whether it is a personal account, an individual’s professional page or a company’s web page, it has been accepted by all that social media marketing is actually a great, fast and outstanding medium to ensure a strong online presence for a business. 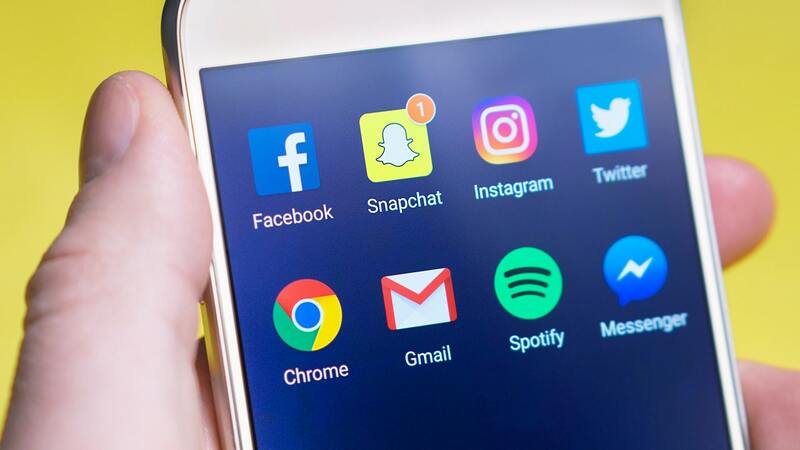 Even after disclosing the benefits of social media for business, there are still some of the companies that don’t rely on social media marketing for their brand visibility. Basically, social media marketing requires deep insights and powerful strategy. It takes less time to get implemented. When it comes to describing the exact stats, the technique doesn’t get defeated by any other online marketing tactic. It is calculated that 97% of marketers are using social media to grow their number of quality prospects while 78% of salespersons make excellent use of it to generate quality leads from different social channels. We know that there are still some of the business owners who don’t consider social media marketing as a rank or traffic booster digital marketing technique. This blog is compiled for their reference and also to make them aware of the myriad of advantages they can have with social media marketing for business. Establishing brand recognition is one of the important and primary tasks to be accomplished to achieve marketing goals. The major reason that why people move towards the brand they already recognize is the recognition it has gained. Similarly, if you want to attain such recognition for your brand, start promoting it on social media platforms. Thankfully, these networks made it easier for everyone to ensure effective promotion for the associated stuff. Through a well-planned social media marketing, a brand will be able to build trust and credibility for the services and products it delivers. This can be conveniently done by increasing the customer engagement towards promotional content or page. Here, you can put content which specifies your market reliability. At any social network, you can place attractive ads or promotional links to influence visitors. This will increase the clicks & views which automatically improves your brand credibility over the web. Creating a story of your brand is the next best strategy which you can implement through social media marketing. These platforms attract visitors towards the promotional ads. And the moment they connect with your brand is the right time to make the story of your brand visible in front of them. An engaging story will connect them and this makes your brand more comprehensive among them. In case you earn long-tailed quality prospects, the chances are that they will be with you for long. The only thing you need is building trust for your brand. As the numbers grow, your brand will be able to influence more visitors and it continues for long. The advantage of it will reflect in the sales outcomes that you can calculate before and after social media marketing. Earning a wide number of Fans over social media is the best way to increase conversions for the brand. Every brand has the power to influence customers and develop a robust brand image through authentic communication over social media. If you inculcate a genuine tone and feel of your brand in a reflective design, you will be able to compel users towards anything. It may include classy ad design, valuable content and an intuitive message. These are the factors that improve user experiences which ultimately is a key to bring qualified prospects to the brand. Managing business marketing planning is really daunting but when it gets implemented by using social media marketing channels, it is quite interesting and easy. There are different social media marketing tactics that you can use to execute a seamless social media campaign. So, what are you waiting for! Initiate social media marketing and carry a positive image for your business. It will help you build strong and an active online presence for your brand. David Meyer is a passionate social media marketing expert at CSSChopper who endeavors hard to achieve committed goals for a business. He is a deep thinker and constantly research for the new and trendy social media marketing techniques that are beneficial for all types of businesses. To show his research interest, he often writes informational blogs on trending online marketing topics.